Our product range includes a wide range of wheel cable trolley, cable trolley, heavy duty cable trolley, two wheel cable trolley, four wheel multi cable trolley and geared cable trolley. 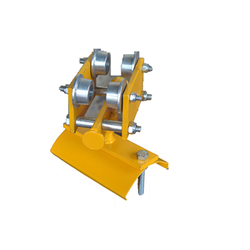 Within the short time period, we are engaged in presenting an excellent grade Wheel Cable Trolley. 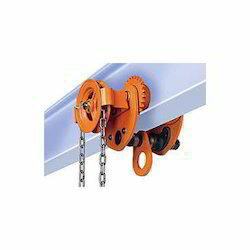 This trolley is manufactured using high-grade iron alloy 7085 that offer high tensile strength and reliability to the pulley. 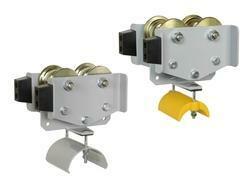 The offered trolley has 3 to 6mm thickness and 50 to 150 mm wheel gauge size. Our professionals manufacture the trolley using advanced machines and innovative technology that help in developing the robust trolley used for different load, unload, pull and packaging applications. 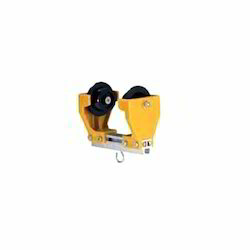 We have been affianced to introduce an excellent grade array of Heavy Duty Cable Trolley. This trolley is manufactured using 306 and 316 stainless steel and iron alloy. At our manufacturing unit, this trolley is manufactured using advanced technology that helps in providing extra strength and reliability to the cable trolley. Heavy duty cranes require such trolley for picking, loading and adjusting various containers, concrete blocks and iron spat. 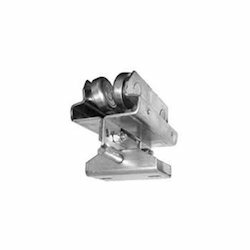 Clients find the trolley dimensionally accurate and aligned when used for heavy operations. With the comprehensive industry knowledge of allied domain, we are engaged in presenting a superior quality range of Two Wheel Cable Trolley. Clients can prefer to find custom designs as per the business needs. 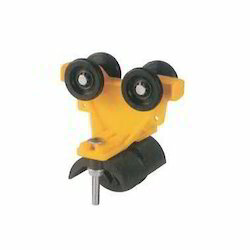 Our professionals have made of the trolley utilizing quality materials and OEM approved parts. This trolley is made and designed in accordance to industry standards. Also, the trolley is made of utilizing advanced technology and innovative techniques to offer it a precise and aligned performance. Besides, clients can also get the trolley made obtainable to them at industry leading prices. Owing to the expertise of our team of experienced professionals, we are able to introduce an exclusive range of Geared Cable Trolley. Heavy duty cranes need such gear trolley for picking, loading and adjusting a variety of containers, concrete blocks and iron spat. At our unit, this trolley is developed utilizing advanced technology that aids in offering extra strength and dependability to the cable trolley. This trolley is made of using 316 and 370 stainless steel and iron alloy. Clients find the gear trolley dimensionally accurate and aligned when used for heavy operations.